﻿ Draw whatever you like on the poker surface to make it a unique gift. It is the index in the four corners makes this little deck look elegant and lovely. Once in touch with its silky surface, you just can’t resist the temptation of keep rubbing it repeatedly. What an addictive treat! You can now add your personal message on the front side to make it an even more adorable gift. 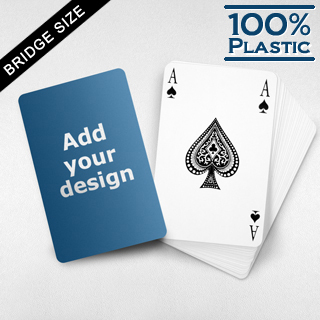 Made of fine plastic, the cards are 100% water-proof and extra-durable.